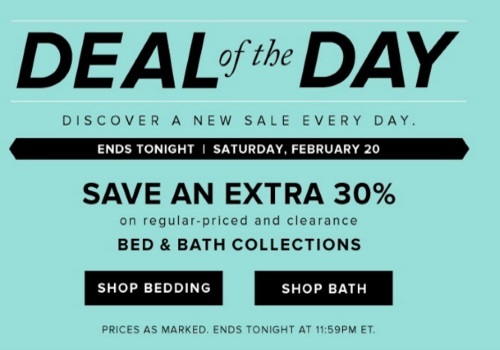 Hudson's Bay Deal of the Day today includes an extra 30% off regular-priced and clearance bed and bath collections! This offer is valid today only, Saturday, February 20, 2016. Prices are as marked.